In 2019, Big Finish Productions will celebrate 20 years of creating Doctor Who audio stories with The Legacy of Time – the biggest audio crossover event in the company’s existence! Over six hour-long stories, characters from the entire history of Doctor Who with cross paths – some for the very first time. Professor River Song (Alex Kingston) will meet her archaeological predecessor, Professor Bernice Summerfield (Lisa Bowerman), while Kate Stewart (Jemma Redgrave) will travel back in time to classic UNIT and meet the Third Doctor (voiced by Tim Treloar) and Jo Grant (Katy Manning). Meanwhile, the Counter-Measures team will be reunited with the Seventh Doctor (Sylvester McCoy) and Ace (Sophie Aldred), long after their first meeting in Remembrance of the Daleks; the Sixth Doctor (Colin Baker) and his companion Charlotte Pollard (India Fisher) will once again meet Detective Inspector Patricia Menzies (Anna Hope); plus we go to Gallifrey, and elsewhere we enter the Time War. “The Legacy of Time will probably go down in Big Finish history as our biggest, most exciting production, ever!” said Executive Producer Nicholas Briggs, one of the founding members of Big Finish. “Celebrating 20 years of Doctor Who at Big Finish, it expertly pulls together all the strands from our many and varied Doctor Who ranges. 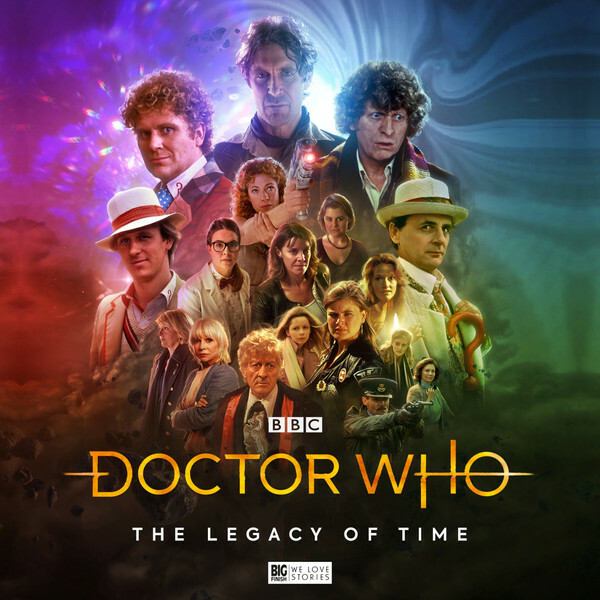 Doctor Who: The Legacy of Time will be available from the DWCA Shop in September 2019. To browse the Shop’s full range of Big Finish audio, click here.